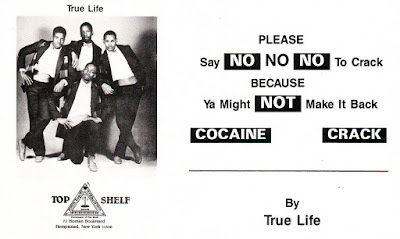 Something of a novelty record, "Cocaine Crack (You Might Not Make It Back" appears to be the only single released by Hempstead group True Life and one of only two records records from their label Top Shelf, "Connoisseur of Fine Music." Released in 1986, it lists Eric Sadler (later of Bomb Squad fame) as a producer, though he (or someone claiming to be him on Discogs, which would be very weird) claims he was only in the studio and not involved in the making of the record. Sadler also tells us that listed songwriter W. Blunt II was "a police officer trying to make a statement record." 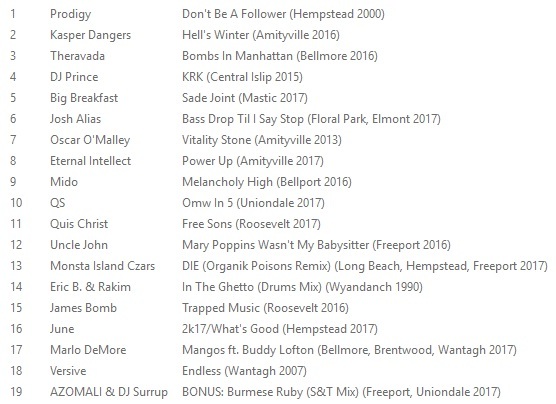 From the same Discogs comments section, we learn that Blunt's full name was William Charles Blunt aka Duce and that another listed songwriter, J. Eatman, went on to become Da Bandit, one half of a duo that put out an EP on Tuff City some eight years later. The other two songwriters, presumably pictured above, don't have any other readily identifiable credits, but with a little bit of poking around on Discogs, we find that Blunt was also credited on the other Top Shelf release, Silhouettes / Cream Tea, which came out the following year. 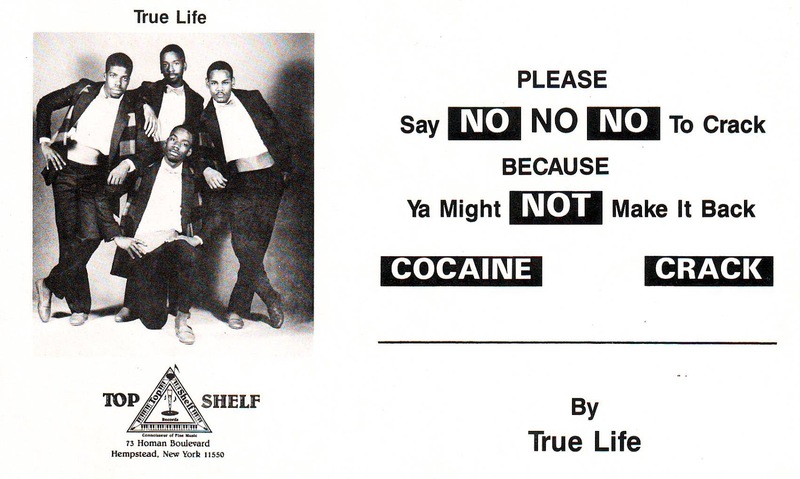 ...And this is why Discogs is the best thing on the internet. Of course, respect due to Ingo Zoerntlein aka MC ZRock, a German YouTuber with a channel dedicated almost exlcusively to anti-drug raps. Urbvn Architects NYC - "First 48"
Knowledge The Pirate - "Ahoy"